​Selected ash stock, unfinished, clear varnish, U.V. resistant. 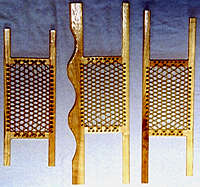 Assembled with mortise and tennon joinery and epoxy. Over sized Canoe Seat. Same excellent quality as our standard seat. 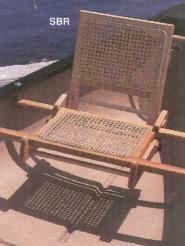 Comes with 40" rails and larger caned area, adopted for middle seat.Yoke Seat Middle canoe seat, doubles as a carrying yoke. 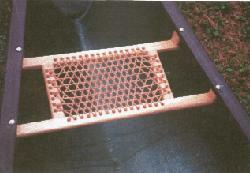 40" rail length, 16" caned area. 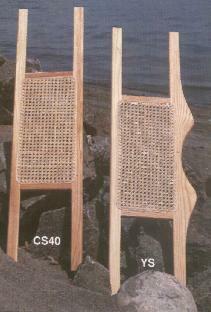 ​Standard Canoe seat woven with 400 lb. test, 1 1/2" brown or black polypropylene webbing for superior strength. 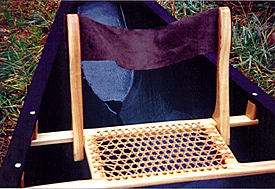 This Beautiful seat is both durable and comfortable. 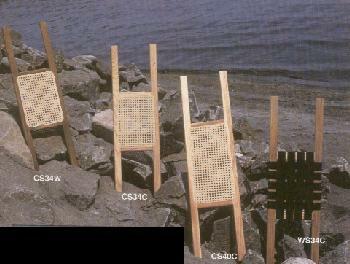 Assembled with epoxy and dipped in clear UV resistant polyurethane varnish. Excellent for boating, fishing, or camping. 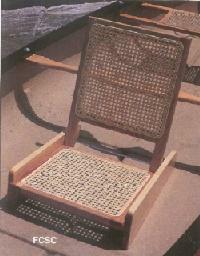 Slide on Backrest Sturdy ash caned rest fits most wood and caned seats. Needs no mounting hardware. Sliding clamps keep it snug to seat. Ash frame canvas back rest slips on and off and stores easily.